Ok, take a good look at this poster. We have George Clooney and that guy from The Office, plus a bunch of other dudes. All of them wearing some very old football gear and sporting really funny facial expressions. So I’m thinking this is a somewhat broad comedy/farce revolving around the early days of football. Then I read the tagline, which makes all that I just said very obvious. Looks good. Probably will have a few laughs. The historic setting makes me think this won’t be a typical comedy, but something a little smarter, with perhaps a little throwback to old time movie comedies. A football comedy probably won’t appeal to the ladies very much, but hopefully Clooney’s presence will solve that. Now let’s look at this other poster. Hmm. 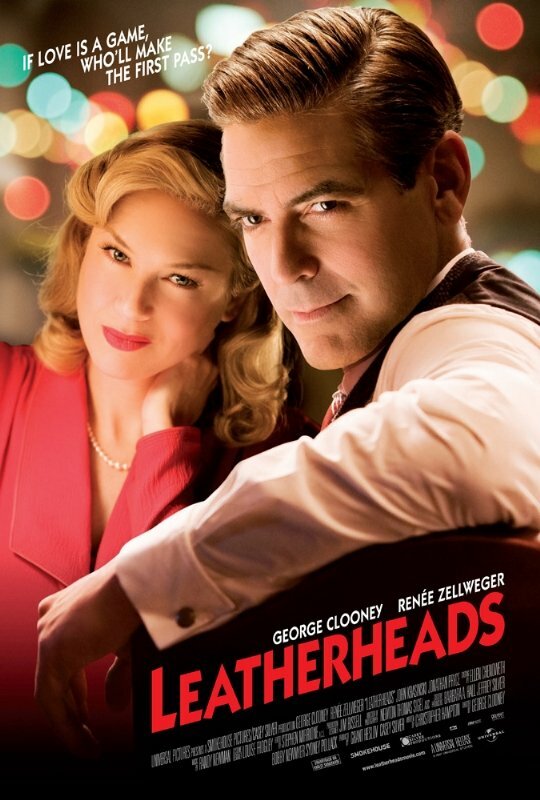 A romantic comedy with George Clooney and Renée Zellweger. Looks like it will have a lot of … romance. The image has a bunch of colored lights and is very soft. Kind of girly really. But Clooney is so cool and smooth, he should be able to add some guy appeal to this. It also seems like a period piece. It will probably be very classy. Yeah, sure, I’m kind of interested. What is that you say? Both of these posters are for the same movie? Surely you kid? When Chris from Movie Marketing Madness wrote about the first poster he noticed the absence of Zellweger and wondered whether we were going to see a two-pronged campaign, one focusing on the football and one focusing on the romance. He thinks this new poster shows that that is the case. Perhaps, although I should note that the second poster appeared in Empire, a British publication. So maybe they will focus more on the romance on the other side of the Atlantic, while focusing on the football in the US. Either way, the truth is that they have three main elements they can use to sell this movie: early football comedy, romance and George Clooney. But they haven’t found a way to sell all of those things together in a single coherent message. So instead they came up with two posters that are so different they make the movie seem schizophrenic. I like the first poster. It’s not great or anything, but it’s conveys the football/comedy side of the movie well. The second I could do without. I do think it’s smart for them to do the two-pronged effort, especially considering the distaste for American football that places outside of America have, but the tagline is just plain awful, and the poster looks awfully generic. As an Australian I can guarantee that they will most definitely be toning down the football aspect for international markets. Just a quick look at the box office totals for movies revolving around american football show that they rarely, if ever, translate to overseas. In fact, quite a lot go direct-to-dvd here. Stuff like We Are Marshall and Invincible never got theatrical releases. Just last year the American posters for The Game Plan featured The Rock in his football garb, while over here the posters featured The Rock merely in ordinary plain clothes. 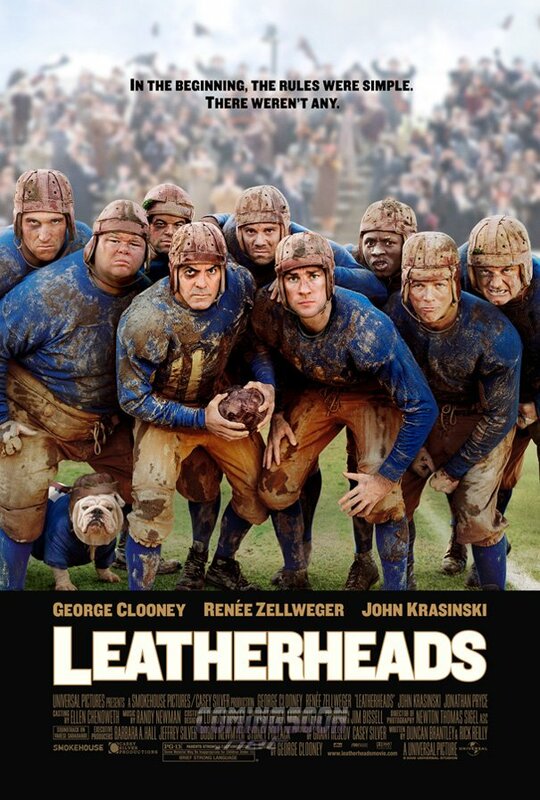 About the posters for Leatherheads, the only major problem I have (because, as we’ve surely figured out by now, there’s a very good reason for it) is that the title doesn’t make the slightest bit of sense in the context of the second poster. WITH THIS FILM. I ALSO WRITE SCREENPLAYS. AND I SEE CRUSTY ACTORS BEING A BETTER CHOICE. USUAL CRAP TO COME OUT OF BRAINLESS HOLLYWOOD. hi i think every movie you make it good but this movie is the best one.